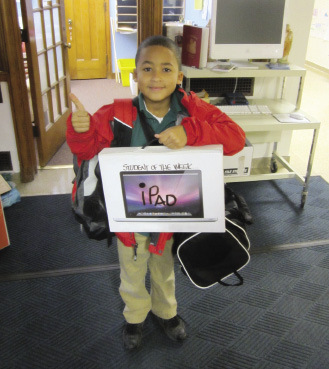 Students of the Week at St. James School earn the privilege of taking home an iPad for a long weekend. 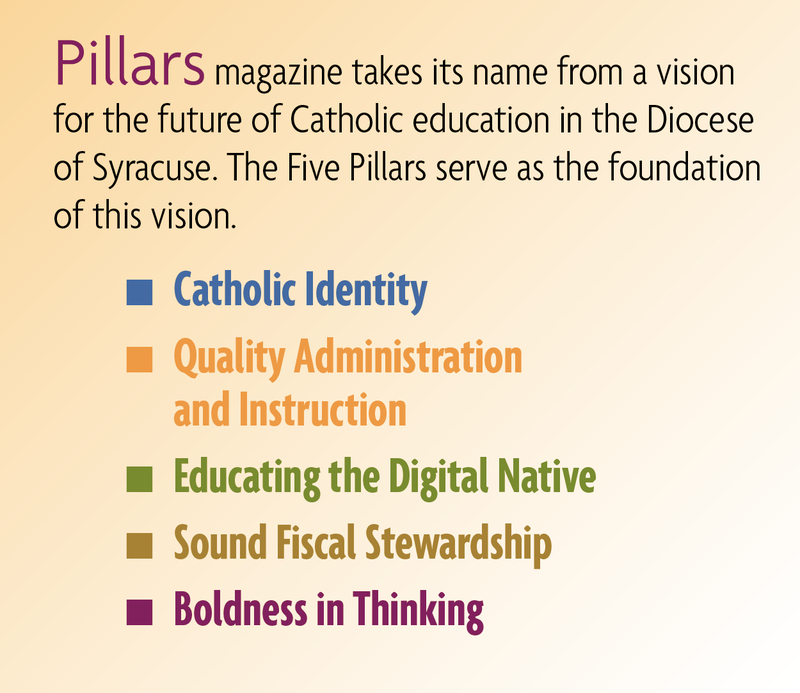 Each year, the schools of the Syracuse Roman Catholic Diocese are encouraged to apply for Program Enhancement Grants made available through the Heritage Fund. To qualify, schools must show that projects truly enhance the curriculum and are required to provide measurable data to show that similar ideas have resulted in success at other sites. The grants are intended for programs, technology and other equipment that can be sustained and continue to benefit students and schools. Schools that have previously established programs with Heritage dollars received first preference in order to sustain their ideas. While Heritage funds are disbursed for a variety of efforts, a significant portion goes to support technology initiatives in many of the schools. Schools received over $45,000 in 2010-2011 Program Enhancement Grants specifically for projects related to technology. For 12 desktop computers, one printer and toner cartridge; and for robotics for all grade levels.